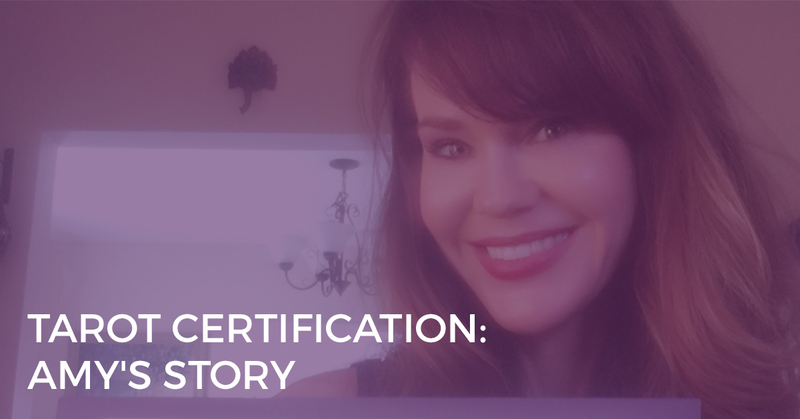 This is a guest post by Christiana Gaudet, Certified Tarot Grandmaster, blogger at tarottrends.com and author of Fortune Stellar. 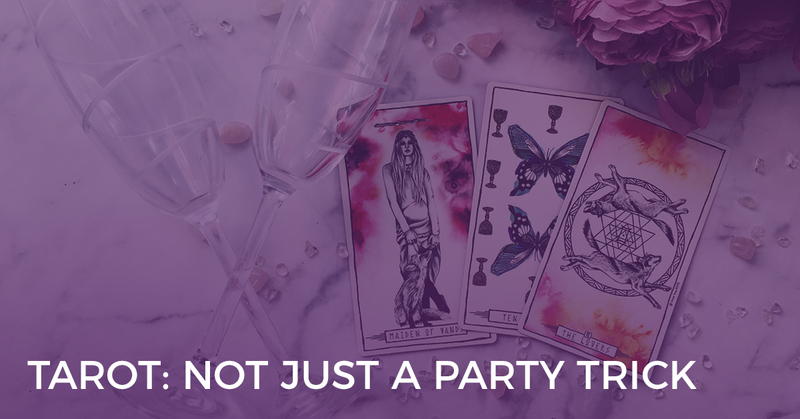 One of her goals as a Tarot reader is to make Tarot more accessible and acceptable, and so Christiana loves to read the Tarot cards in places such as nightclubs, churches, wineries, hair salons and military bases. 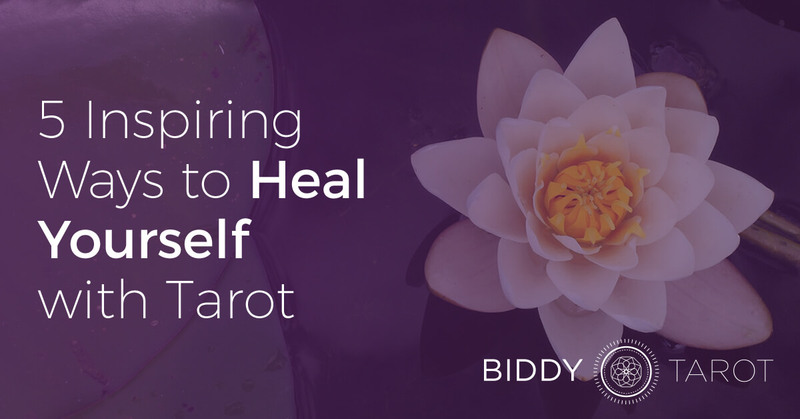 Today, Christiana shares her thoughts about Tarot as a tool for healing and provides five inspiring exercises you can do to heal your own life through Tarot. Over to you, Christiana! If you ask someone who has never before worked with tarot about the purpose of tarot, they will most likely say something about fortune telling. It is true that tarot has an uncanny knack for predicting future events. As a tool of divination it is accurate, compelling and insightful. But if you ask a tarotist about the purpose of tarot, many will answer this way. Tarot is a tool for healing. The ways in which tarot heals may be limitless. Over time, tarotists will develop and discover new ways to use these sacred images to bring healing. Each tarotist has unique practices, so no list of tarot’s usefulness could ever be comprehensive. The process of divination itself can be very healing. Whether we are reading for ourselves or others, a good tarot reading can bring us to a place of emotional balance and well-being. It can give new perspective, and reframe painful issues to create healthier and more productive thinking. A tarot reading can pinpoint problems and offer solutions. A tarot reading may suggest new activities, new healing modalities and new priorities to create better health, both physically and emotionally. For reasons both ethical and legal, tarot readers need to be very careful to avoid actually practicing medicine. However, physical ailments, and their possible remedies, do occasionally appear in the cards. Urging a client to get to a doctor quickly can sometimes literally be a lifesaver. Sometimes a reader may be able to give a sense of treatments or lifestyle changes that could help a client heal. Here, the healing may come in the form of a referral to a particular medical practitioner. Tarot reading can offer opportunities for communication. Often, communication brings healing. This can include openhearted communication within a couples reading, communication with a deceased loved one, or tactics to help improve communication in a difficult relationship. Beyond the process of reading the cards, tarot can offer healing in a number of ways. We can use tarot images in meditation, visualization, goal setting, magick and manifestation. Tarot meditation can take many forms. One way to use tarot meditation for healing is this. Look through the deck and choose an image that describes a current situation you want to change, or a current feeling you need to let go. 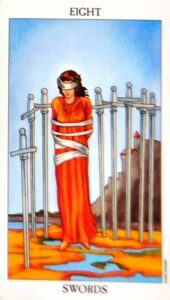 For example, let’s consider the Waite Rider Smith Eight of Swords. Here we see a person bound and blindfolded. She is stuck in a cage made of her own thoughts, or perhaps someone else’s unkind words. An anxious person might choose this image to perform a healing meditation or visualization. One way to perform a healing meditation is to become the person in the image. Think about the swords that surround you, and decide what they represent. Are they anxious thoughts, thoughts of self-doubt, or lapses in integrity? Now think about what it feels like to be stuck. Decide that you no longer want or need to be in that stuck place. Find a way out. Wriggle out of the binding, remove the blindfold, and simply walk away. Perhaps you want to take the swords down, one by one, before you go. Another way to work with this card is to enter the card as an observer. Hold a conversation with the trapped person. Ask her why she is there. Ask her questions about her situation and see how she responds. Here, your subconscious will communicate with your conscious mind. The information you receive could be extremely valuable in your healing process. As you visualize helping her escape, you create the possibility for your own transformation. You can use tarot to develop beneficial character traits. Look through the cards and find one that represents the personal qualities you would like to develop within yourself. Take that card as your new significator – the card that represents you. See yourself as that card character. Pay attention when it comes up in readings. Use it to help shape your sense of personal identity. Experience the Power of Tarot Meditation… for FREE! 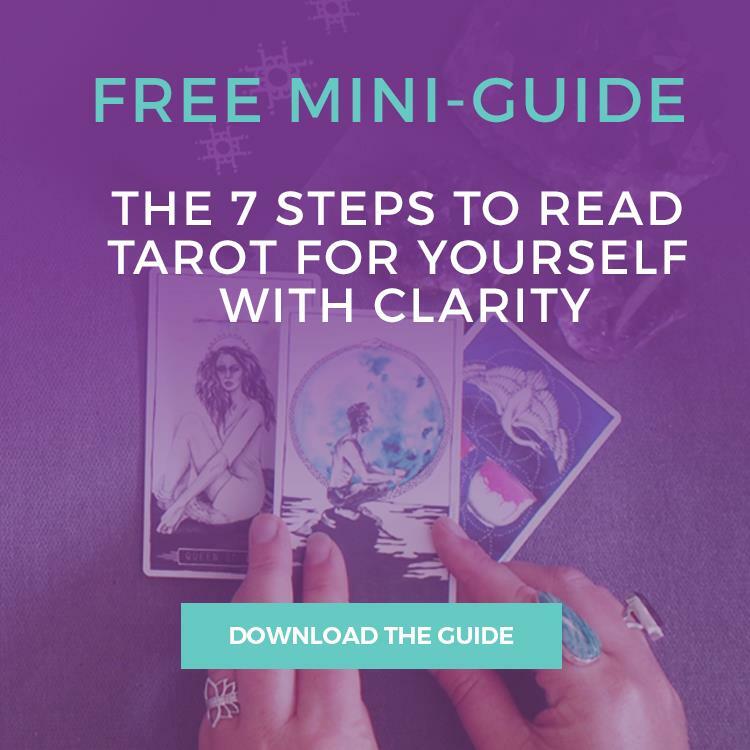 If you’re ready to take a deep and profound journey with the Tarot cards as your wise guide, then you’re invited to download this FREE 23-minute guided meditation with the Fool Tarot card. Tarot magick works in a similar way, but through manifestion of your healing desires. Find a card that represents what you want to achieve. Meditate on the image, keep the card on your altar, hold your body in the position of the card character, or keep the card under your pillow. Do whatever it takes to make that image part of your own energy. Breathe it in, hold it to your heart, visualize yourself within the image – do whatever feels right to you. As you embrace the energy of the card, it will be made manifest it your life. If there is something you want to banish from your life, tarot can help with that, too. If you want to break a bad habit, heal from an illness or end a cycle in your life, you can choose a card to represent that which you are ready to release. Place the card face down on the table, and affirm your power to break away from what no longer serves you. You can even print a copy of the image and destroy it. As you do, feel yourself being freed from what has enslaved you. Even as we study the tarot cards, we can use the cards to heal. Each card bears a spiritual lesson as well as an interpretive value. When we embrace the spiritual message of each card, we have the opportunity to use that message to grow and heal. Tarot inspires our creativity, increases our intuition, and offers us opportunities for communication on the deepest levels. 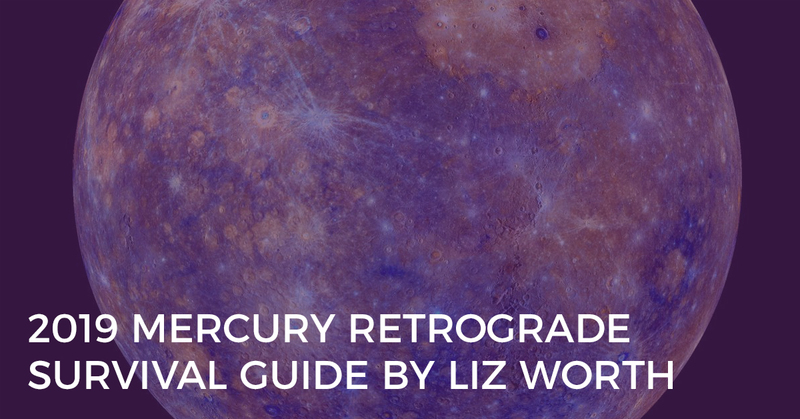 In all these ways and more, tarot is a profound tool for healing. How have you used the Tarot for healing? And what have been the results? Share your comments below. Christiana Gaudet, Certified Tarot Grandmaster, blogger at tarottrends.com and author of Fortune Stellar.